The TCPS Summer Camp has become an immensely popular summer destination for all children. The TCPS Summer Camp offers something for everyone. 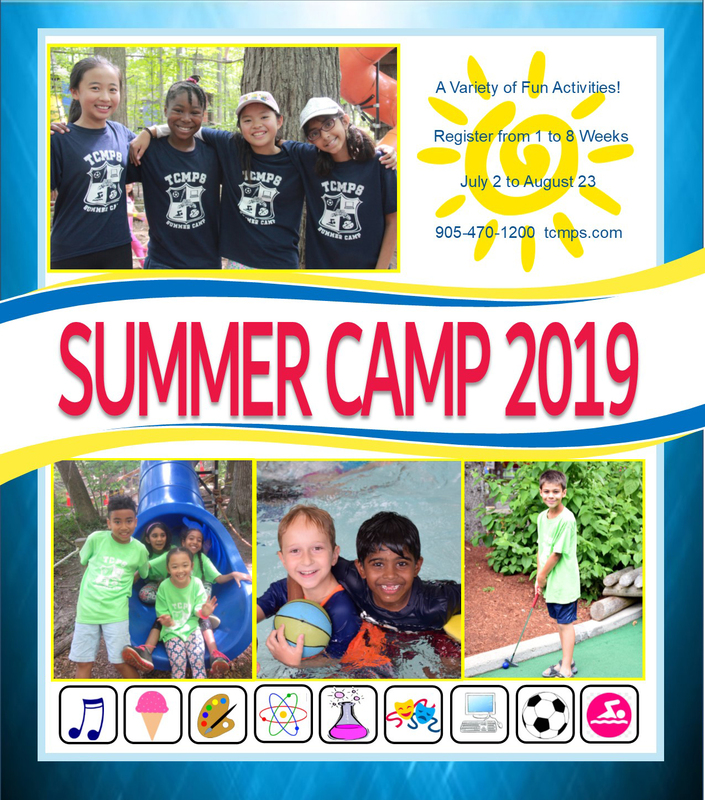 This exciting and fulfilling summer day camp is available for students between the ages of 6 to 14. No other day camp can offer you the same services, extended care hours, variety of courses, relaxed environment (no uniform), and the most rewarding experiences for your child, all in a fully air conditioned setting. TCPS Summer Camp provides parents and students with the level of comfort and security that you have come to trust over the years. The TCPS Summer Camp operates from 9:00 a.m. to 4:00 p.m. and offers extended care hours from 7:00 a.m. until 6:30 p.m. at NO EXTRA COST! Elementary students will have an optional Hot Meal program catered through Kid’s Kitchen. Kid’s Kitchen is a renowned catering company for schools, and is located right here in Markham. The Kid’s Kitchen Hot Meal program offers an A La Carte menu and daily specials with a variety of entrees, side items, snacks, desserts and drinks. Parents simply order online at www.kidskitchen.ca and items are prepared fresh daily by Kid’s Kitchen and delivered to the school. This new program is optional and students are still welcome to bring a lunch from home. All camp spaces are reserved on a first-come, first-served basis; don’t delay, register today! Please stop by the Office should you have any questions. We look forward to sharing a great summer with you! Register by April 3, 2019 for 3 weeks and save $50.